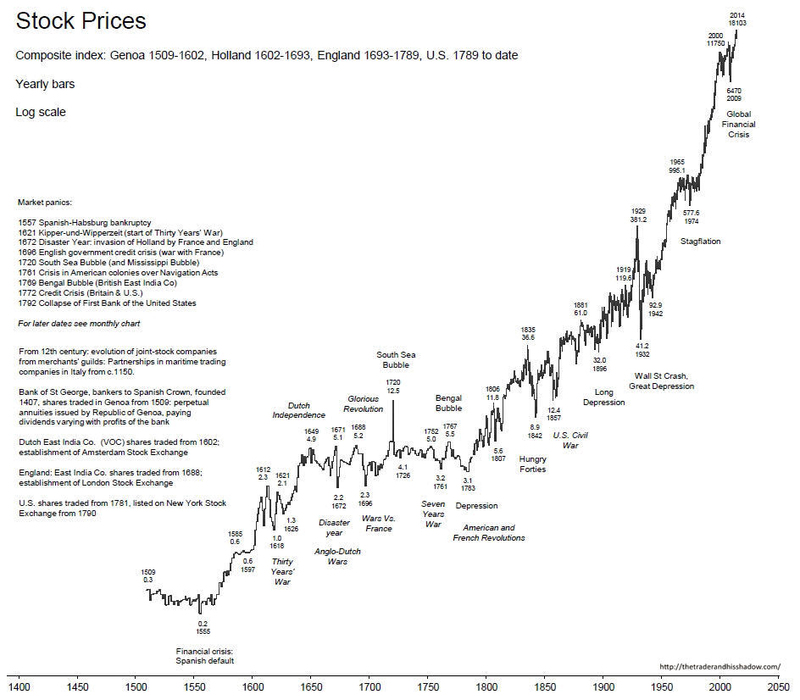 Above is a 500 compendium of prices (click to enlarge) gathered from multiple sources to provide a guide as to the rise in prices from 1509 through 2014. You can find major events identified on the chart, including wars, which generally take place at the lows. The above chart generally follows the Elliott Wave Principle in structure and places us at the top of a five wave super cycle, with an expected major downturn, crash, and depression to begin during 2018.